The dominant coffee giant Starbucks, which uses cups embossed with the image of a pagan Norse seductive siren, is generating outrage over its choice of a plain red holiday cup this year as some—including Republican presidential candidate Donald Trump, who has announced that he will be ending Starbucks’ Trump Tower lease over the matter—are claiming that the lack of decor serves as an attack on their religious beliefs and an offensive opposition to Xmas. A video by Joshua Feuerstein, who formerly identified as a pastor and is now an event speaker, recently went viral as Feuerstein complained about the plainness of Starbucks’ holiday cups. Cups in years past included images of snowflakes or ornaments. In the video, Feuerstein explains that when he was asked for his name so that it could be written on the cup, he replied, “Merry Christmas.” He urged his 1.8 million followers to do the same to “trick” the company into recognizing the holiday. Others chimed in with their support of the idea, and as of press time, the post has generated almost 500,000 shares. Republican presidential candidate Donald Trump also made comments about the matter Monday night, stating that he would no longer lease his Manhattan tower to the coffee company over the issue. 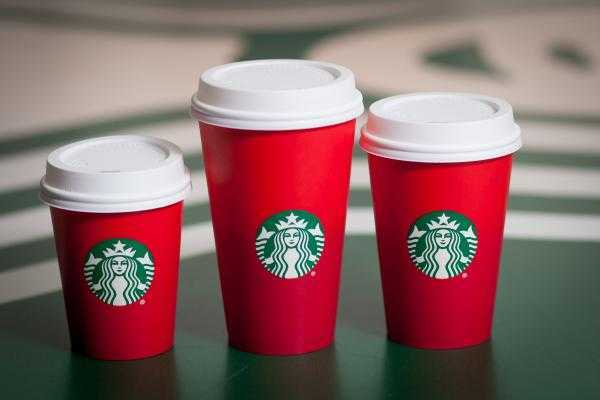 Starbucks has now released a statement surrounding the controversy, outlining that the company isn’t avoiding the holiday, but decided to keep their cups simplistic this year. However, some find it futile to seek to force Starbucks to honor Christ—being a secular company whose logo, according to mythical legend, features a pagan mermaid whose seductive sounds attract sailors to their death. Starbucks, whose CEO Howard Schultz said in 2013 that those opposed to the company’s support of homosexuality are free to sell their shares if they are unhappy with how boycotts effect their stock, also generated controversy last year when it released a homosexual-themed commercial featuring male crossdressers. Some likewise find the outrage over the lack of the decor on the cups to be foolish, or note that the holiday has pagan roots anyway, which motivates some Christians to decline participation in the celebration.